This figure would include everything that would be needed to build the home and finish the inside to allow you to live in the house. A design cannot be perfected until you have the property to allow you to evaluate location of the driveway, the main entrance, or where you want to emphasize the view. There are three ways you can be involved with the construction of your log home and all three offer a different total cost per square foot. Self Builder: requires that you do all of the dry-in and finish construction for the log home. Being a self builder will provide you larger savings compared to the other two choices, but the savings can diminish with expenses of tools, labor and potential time delays that will add interest to a construction loan. Self General Contactor: requires that you coordinate the project but is less labor intensive because you will hire out all of the work to complete the dry-in and finish construction. This is the most popular choice because of the potential savings of up to 10-20% of the budget. 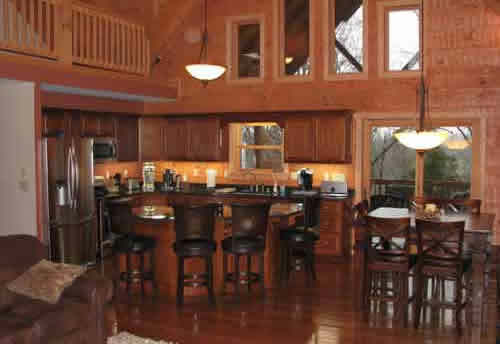 General Contractor: allows you to hire a contractor to coordinate and complete the entire log home project "turn key". With a general contractor managing your entire project you will have fewer concerns with financing, and competitive bids but you will find it to be the most expensive choice of the three construction options. Keep in mind how you live in your current home. List the features that you enjoy or want to change. Try visualizing your home in the mornings, evenings, during soft rains, and entertaining family or friends. In general, what will make your home comfortable for you? Make an appointment with your Landmark Log Home expert to begin designing your dream log home!